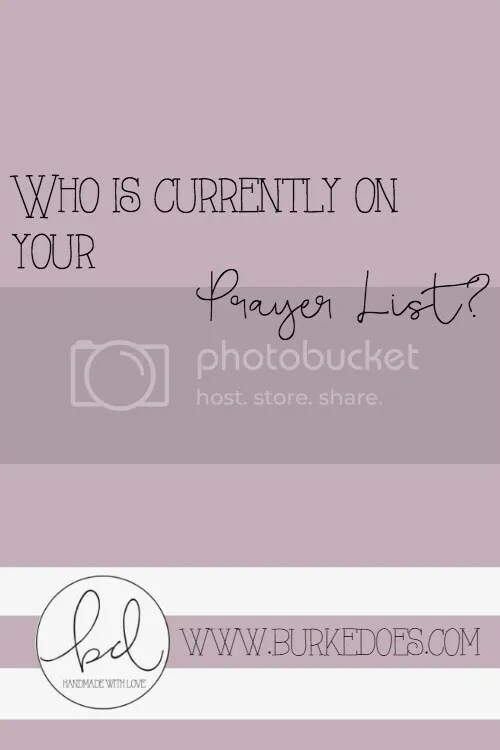 Who is currently on your prayer list? At some point as adults, we have to make the decision to pursue our faiths ourselves. As I’ve written about before, I decided to go from being a Catholic to being an actually practicing Catholic. I really started making this decision in college and it was something that I have diligently practiced now that I’m out of college. I’ve started reading the She Reads Truth App at night before bed (because I read in the mornings). And that’s been a great way to re-center before falling asleep. When I finish my prayers, I always say my list out loud. Like most people, my prayer list changes, but there is a beginning list. I pray for my mom, my dad, my sister, my boyfriend, Titi and Pai, my late Aunt Colleen, my late Nana, and “my friends, family, and those who surround me” generally. I also pray for things that are relevant in that moment- a fundraising campaign for my high school leads to a prayer for generosity from donors, an impending trip leads to prayers for safe travels, or a major project at work leads to prayers for wisdom. Right now, a lot of Casey’s friends are at Ranger school, so I’ve been praying for his buddies. I try to always remember the Serenity Prayer. Prayer can be painful and at times disappointing. When Nana was in her final stages, she was so clearly in pain. Despite praying for the repeated alleviation of her pain, she suffered for many weeks. Prayer can be frustrating in that we don’t always see the results that we’re looking for. While accepting this is part of having faith, that doesn’t make it easy. When I was at the Garth Brooks World Tour in Charleston, SC over President’s Day Weekend, I was reminded of his song Unanswered Prayers. I was thinking about exactly this case. I’ve turned to this song a couple of times since that concert just as I wade through different things in my own life. « What is one impossible dream you can pray over?